Lutheran Health Network/Lutheran Hospital in Fort Wayne, Indiana seeks to recruit a BC/BE an adult Neurologist to join an established group of 7 neurologists and 4 neurosurgeons. The current call requirement for neurology call is 1:6. Although looking for a well-rounded general adult Neurologist, fellows in sleep, movement disorders, and concussion are welcome to apply. Group has been serving the tristate area (Indiana, Ohio and Michigan) for 49 years. This private group comprises Neurologists, Neurosurgeons, and Nurse Practitioners. The practice provides full diagnostic services on site as well as operates its own sleep and infusion centers. This group handles all the major stroke work at four (4) hospitals. There is also active participation in national clinical research studies and opportunities for teaching. Two beautiful office locations, one on the Dupont campus and one on the Lutheran campus. In addition, the group has 11 satellite offices in rotation. Each physician works at one location per week. These include: Van Wert, Angola, Wabash, Huntington, Kendallville, Bryan, Columbia City, Auburn and Defiance. Fort Wayne is a three time All-America City Award winner, and has been consistently sited for the high quality of life, low cost of living and warm Hoosier Hospitality. Fort Wayne is Indiana’s second largest city and is home to over 250,000 residents. (Allen County, Indiana’s largest county by size, has a population of 355,000). Nearly equidistant from Chicago, Cincinnati and Detroit, it has historically served as a transportation and communications center for Northeast Indiana, and an incubator for many products and companies. Lutheran Hospital is a 396-bed tertiary care facility that opened on Thanksgiving Day in 1904. Lutheran’s areas of specialized care include northern Indiana’s only heart and kidney transplant programs, a Bariatric Surgery Center of Excellence®, Level II verified adult and pediatric trauma centers, an accredited and commended community hospital cancer care program and a certified primary stroke center. Lutheran’s trailblazing history of heart care is also evident through its accreditations as a heart failure institute and chest pain center. It has also achieved advanced certification from The Joint Commission for ventricular assist devices. Lutheran Children’s Hospital teams with more than 75 pediatricians practicing in 27 areas of pediatric specialty in an environment filled with imagination and color. Lutheran Hospital is committed to providing the highest level of expertise and technology locally so patients don’t have to travel hours from home to receive the care they deserve. Lutheran Health Network, whose members are owned by subsidiaries of Community Health Systems, is an integrated healthcare delivery system and the largest healthcare provider in the region with eight separately licensed hospitals and nearly 1,000 licensed beds including 793 in Allen County alone. The foundation of Lutheran Health Network is a strong team consisting of more than 7,000 associates. Each network entity offers a wide range of services and specialties. 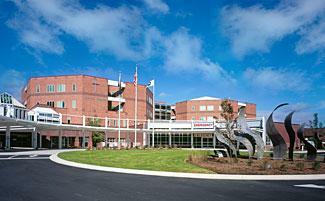 LHN facilities had more than 41,500 inpatient admissions and more than half a million outpatient visits in 2012. The community of Ft. Wayne, Indiana is a great place to live, work and play. Ft. Wayne, the state’s second largest city, is a three-time All-America City Award winner and has also received the City Livability Award from The United States Conference of Mayors. Our community is affordable – 9% below the national average – and regularly ranks near the top of the list for most affordable housing. The educational system includes multiple universities and excellent public and private schools. Art and cultural activities include a 66-mile trail network, the Philharmonic, multiple museums, and sports teams. “The Summit City” also offers many opportunities for golf enthusiasts including courses designed by Jack Nicklaus. Furthermore, Ft. Wayne is centrally located and just a short drive from major metropolitan areas such as Chicago, Indianapolis, Cincinnati and Detroit.